With the Portland Marathon this Sunday and many other marathons and half marathons scattered throughout the rest of this month and into November, it's time to get serious about race week prep. Surprise - it's not all about running! Sleep. Go to bed a bit earlier this week. Shut off the computer and the TV and give yourself a few extra hours of rest. The two nights before the half marathon is when quality sleep matters the most. You’ll most likely be too amped up the night before the race to sleep well or for very long anyway. Rest. If an injury is starting to flare up, take a few extra days off instead of worrying about getting your final runs in. 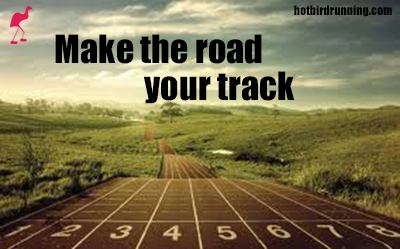 Your primary goal this week is to do everything possible to get your body feeling fresh and ready to run on race day. Your fitness is already established, so any running at this point isn't going to get you in better shape for race day. The Expo. Race expos are fun and it’s a great way to check out new gear and products. Take advantage of the bargain prices but never, ever wear anything that you bought at the expo on race day. Stick with what you know! The same goes for the food samples, buy some to try after the race but don’t eat anything new on race day. Also, avoid eating too many of the free samples of sports drink and energy foods – you don’t know how they will react with your stomach. The Day Before. Either walk around for 20-30 minutes or jog for 2 miles. Avoid spending hours at the expo. Get home, put your feet up and rest! Race Morning. Aim to drink about 16 oz of water the morning of the race (about 2 hours before). This is enough time for the water to pass through your system. Eat your normal pre-long run breakfast about 1 hour before your start time. You might want to wear an extra layer and some gloves or socks for your hands that you can toss at the beginning of the race (tossed clothes are collected and donated). For extra cold mornings, bring hand warmers for your feet and hands - just don't forget to take them out of your shoes before you start running! Know Your Race: Familiarize yourself with where the water, refueling and medical aid stations are on the course. This information is usually found under the course description section on the race website. Run Your Race. Don’t allow your adrenaline to take over at the start. It’s easy to get caught up in the excitement of the start and run faster than planned. At the start and during the first few miles, ignore everyone around you and focus on your pace and your strategy. Let people pass you – stay on your pace. You’ll be passing those people soon enough! It’s better to start 1 minute too slow than 1 minute too fast. One minute too fast will zap your energy and most likely cause you to hit “the wall” earlier in the race. Post Race. Get warm and get food and water immediately after crossing the finish. Take the mylar blanket and grab food. (Bananas, energy bars, sports drinks, fruit, and bagels are all good options). Even if you can’t eat immediately, you’ll need to put something into your system with 30 minutes of finishing. If you're checking a bag, then put some post-race food in this so you don't have to rely on the food provided by the race. And last, but not least, trust your training. You put in the time and the effort and that is what matters come race day. You can’t control the weather, the crowds, the temperature. You can control how you choose to deal with those factors on race day. Believe in yourself and your hard work and dedication will shine through! I completed my 12th maraton on Oct 5th. I use the word "completed" because I am thrilled to have finished it. I'm battling a weird hamstring injury, I moved and changed jobs about 6 weeks before the marathon. My mind was not in marathon mode! 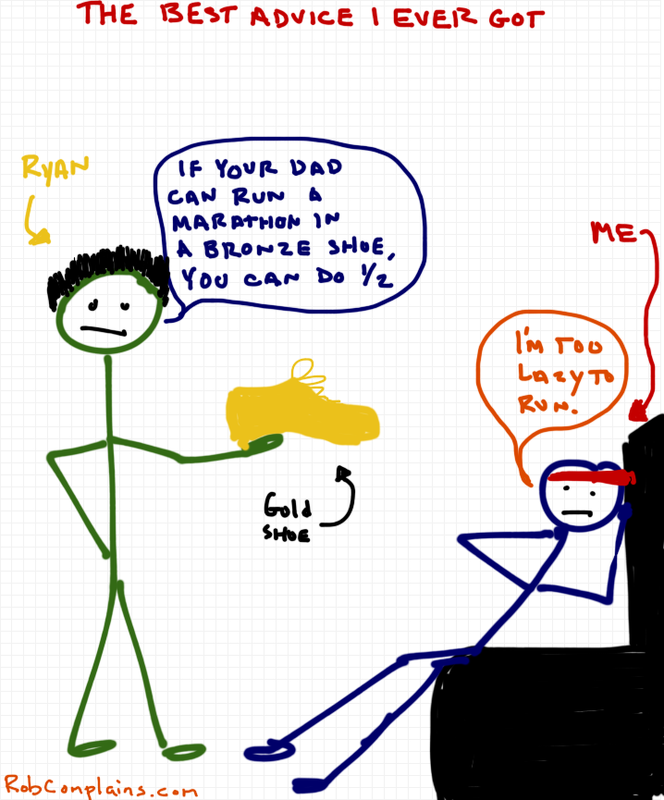 I wanted to attempt the race because you never know what's going to happen on marathon day. I set 3 goals and I told myself that it's okay if I don't finish -I didn't want to risk long term injury. I spent the week before the race resting and icing. I foam rolled, I got a massage and I gave my hamstring a lot of TLC. It was feeling better but the nagging sensation didn't go away. I wasn't sure my hamstring would last 26.2 miles. Race morning arrived and my friend and I got to the start, hugged and wished each other luck. This is the first race I've ever started thinking I might have to bail out. I hooked up with the 3:30 pace group and hoped to hang on to that time. My training runs put me at a faster time but my leg wasn't making it through long distances so I decided to back off early. I felt good until mile 11.5. At that point, we got stopped by a train (yup! only in Portland, Oregon will your race be stopped by a train!) and then began a slow, gradual hill. It's one of those where you don't quite realize you are on a hill until you see it on a map. My hamstring did what it had been doing at mile mile 15-18 in my long runs - just kinda stopped working. It doesn't seize up, cramp or feel sore; it feels like I'm running in mud. At this point, I didn't think I was going to finish. I kept giving myself distance goals - just get to the bridge and then you can stop; just get to mile 18 and you can stop. Just get to mile 21. Jessica jumped in with me at mile 21 and helped me push through those last 5 miles. They were slow but i kept plugging along. I had to let go of my ego and say, I'm happy and proud to finish this marathon - regardless of my time. The fans, especially my fans, motivated me and helped keep me going. I am so happy that I finished; that I didn't quit and kept plugging along. In my situation, I knew my hamstring and the sensation well enough to know that I wasn't causing more damage. If I felt that I was going to strain my hamstring and cause more damage, I would have stopped. Having support and "coaches" surrounding me with encouraging words helped push me through my mental barriers of "I can't keep going". I learned a lot more from this marathon than the marathons when I BQ'd or PR'd. I learned that it's okay to change your goals and sometimes a finish is the best thing you could have ever imagined. While some may associate cooler weather with indoor workouts, distance lovers know that fall is actually prime time for running a lengthier workout. Which is why many of the world’s top marathons take place between October and January. Besides that cool autumn breeze being safer for runners − some oddly warm fall days in past years have had catastrophic results − committing to a end of year marathon means your summer workouts are driven by a tough but worthy goal. Plus, once you’ve finished, you can feel free to indulge in a slice of pumpkin pie, or any other holiday treats that are sure to come your way. Below, we’ve picked out some of the most fun fall and winter marathons. If you’re not participating in any this year, be sure to check in on the races − most sports packages will cover the major marathons (click here for channel info). Then, start planning your own marathon outing for the 2015 season! Bank of America Chicago Marathon: This famous marathon has been held annually for an impressive 30 years, and will be taking place this year on October 12th. The race is capped at 45,000 registered runners, a number that is generally reached well over half a year before the race day. Since it’s a city marathon, Chicago’s course is flat and fast, meaning that many record-setting times have occurred on the cement terrain. Moses Mosop of Kenya won the 2011 race, setting the record at 2:05:37, and Liliya Shobukhova of Russia has clocked in at 2:18:20 (although her credibility as an athlete has been called into question). Polar Circle Marathon: If you’ve never been to Greenland, participating in this marathon will show you that the country is most decidedly not green − at least not where you’ll be! This is one of few arctic races, which prides itself on polar landscapes and ice sheet ground. The course takes place primarily on a gravel road (though chances are the road will be hidden beneath a few layers of snow) in Kangerlussuaq, Greenland, just north of the Polar Circle. TCS New York City Marathon: Like Chicago’s course, New York City shows off some stunning skyline views and a variety of the cities interesting neighborhoods in all five of the boroughs between the start and finish lines. The first Sunday of November is always “Marathon Sunday,” when over 2 million New Yorkers head out to support the athletes attempting the race. The race attracts over 100,000 applicants, of which 45,000 are chosen based on qualifying times, charity support, and lottery. Marathon Des Alpes: This marathon, also known as the French Riviera Marathon, is a race which has shockingly only been held for four previous years. This year’s fifth event, however, has already surpassed an impressive 12,000 runners who are registered and willing to run through the famous seaside towns and gardens. Besides picturesque villages, runners will also be delighted to see the Nice Phoenix Park, filled with peacocks, ostriches and even exotic fish. They will also run past the Mediterranean Sea, the chateaux and villas of Cap d’Antibes, and much, much more! Bagan Temple Marathon: “Adventure Marathons”, such as the Polar Circle Marathon, offer some of the most unique and stunning views, and the Bagan Temple Marathon is no different. This race is in central Myanmar, within the ancient site of Bagan, which is home to more than 2,000 temples. The course also winds through smaller villages, offering a look into both the ancient culture and current lifestyles of Myanmar residents. Honolulu Marathon: Though the Honolulu marathon takes place on an island in the middle of the Pacific Ocean, it is still one of the ten largest marathons races in the world. The race attracts 25,000 annual runners who are led around a volcanic crater, Diamond Head, and Kapiolani Park. Runners will also run by Iolani Palace and Kawaiahao Church - two of Honolulu’s proudest tourist attractions. No matter which marathon you choose, local or international, lace up your shoes and complete that training, since it won’t be long before the chill air turns too brisk even for the most dedicated athletes! Since moving to Portland a year ago, we've been exploring new routes and new places to run. We discovered Pink Buffalo Racing a few months ago and love the races they put on. They've got one in a vineyard, a holiday themed run and their newest race - Monkey Face Half Marathon. You run in the shadow of the Monkey Face rock. It's got lots of support and is capped at 500 racers so you won't have to weave around runners. Want to win an entry into this race? We are giving away an entry. To enter, leave a comment below telling us your favorite race destination. When you are a beginner runner or just starting to run again, finding the motivation to run or train for a race can be challening. We have jobs, kids, relationships, responsibilites and sometimes going out for that run doesn't fit into our busy schedules. One of the easiest ways to start running or training is to begin with run/walk intervals. 3) Allows your body, especially your joints, to acclimate to your new endeavor. How to Begin: Measure your intervals in minutes and figure out what works for you. If you are off the couch, start slowly- an injury will only hamper your progress. Your Run/Walk might be 1/3 (1 minute running and 3 minutes walking). If you are highly active, you might want to try 5/2 or 7/2 intervals. The goal is to exercise for at least 30 minutes. Aim for 3 days of run/walk intervals and 2 days of cross-training. Effort: During your run intervals aim to be able to talk without feeling winded. If you start to feel like you are losing control of your breathing, slow down. Monitor how your body responds to the effort during training. Start and finish each workout with a few minutes of fast walking. Aim for 3 days of run/walk intervals. Tools: We recommend buying the Gymboss because it alerts you, via a beep or vibration, when the interval is up. You can set it for up to 99 intervals and clip it to your shorts or pants. No need to monitor time or remember numbers! Location: You can do the run/walk sets on the treadmill or outside. We suggest and encourage as much outside activity as possible because it’s inspiring, invigorating and it most accurately reflects race and real-world conditions. Stick to flat terrain for the first few weeks and add in hills once you are comfortable running for 10 minutes at a time. We are leading group runs every Saturday at FitRight NW in Northwest Portland at 9am leading up to the Shamrock Run. We lead a run/walk group for those looking to run the 5k race. You get a coach and a group of fun women to run with! Speed training (or interval training) is high-intensity training sessions that improve your running efficiency and will help shave minutes off your race times. There are so many benefits to speed training. And you don't need a track to do speed training. Simply pick minute intervals or mark off .25 miles or .5 miles on a road or sidewalk. Some of our favorite workouts are: 1 min, 2 min, 3 min, 3 min, 2 min, 1 min (with same recovery time), 8x400 meters (.25 mile) and 5x800 meters (.5 mile). Make any road your track! How do speed workouts improve your running? 1. Build Strength - Speed work gets fast-twitch muscle fibers firing, and recruits more muscles than slow runs do. 2. Faster Feet - When you run at a fast pace, your feet turn over at a more rapid rate. With enough practice, this quicker cadence becomes more natural, which means you'll need less effort to move faster on any run. 3. Improve Stamina - Speed sessions help maximize your aerobic capacity. When you hit a fast pace, you force the heart to pump oxygen through the body at a quicker rate. Over time, that makes your heart stronger, so it can deliver more oxygen to the muscles, and helps your muscles use oxygen more efficiently. 4. Run Stronger and Longer - By sustaining a comfortably hard effort, you condition your body to hold a faster pace for longer before lactic acid—the waste produced when the body burns glucose—starts accumulating. That helps stave off the burning sensation that's so often linked with running hard. 5. Make the Joy of Running Last - Even if you don't care about getting fast, you'll enjoy the post track euphoria and the fitness gains that go along with speed work. When you're fitter, you can cover the same miles with less effort and bust through plateaus. Signing up for a race is a great way to hold yourself accountable, stay on track, test your strength, stamina and endurance and experience the adrenalin rush of competition! We race a handful of times throughout the year for just those reasons AND to have fun! We've run races from 1 to 200 miles throughout our running careers. Not all have been that great, however. What makes a great race? To us, a number of factors - race organization, the course, post race atmosphere and logistics (getting to/from the start/finish). Eugene Marathon - great atmosphere, beautiful course and you end on Hayward Field - home to some of the best athletes in the world. Boston Marathon - you're psyched you qualified and you are running on one of the most historic courses ever. 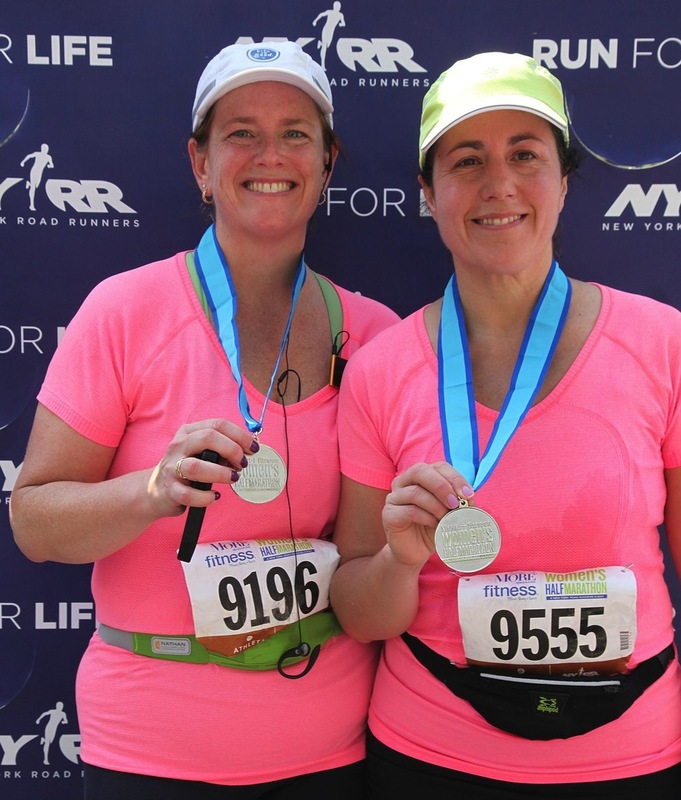 New York City Marathon - you will feel like a rockstar for the entire 26.2 miles. 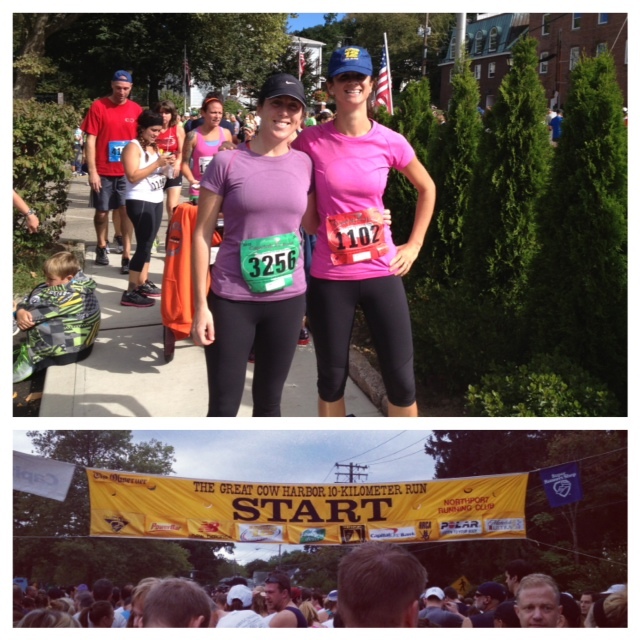 Great Cow Harbor 10k - fun, fun atmosphere and the best post race food we've ever seen. 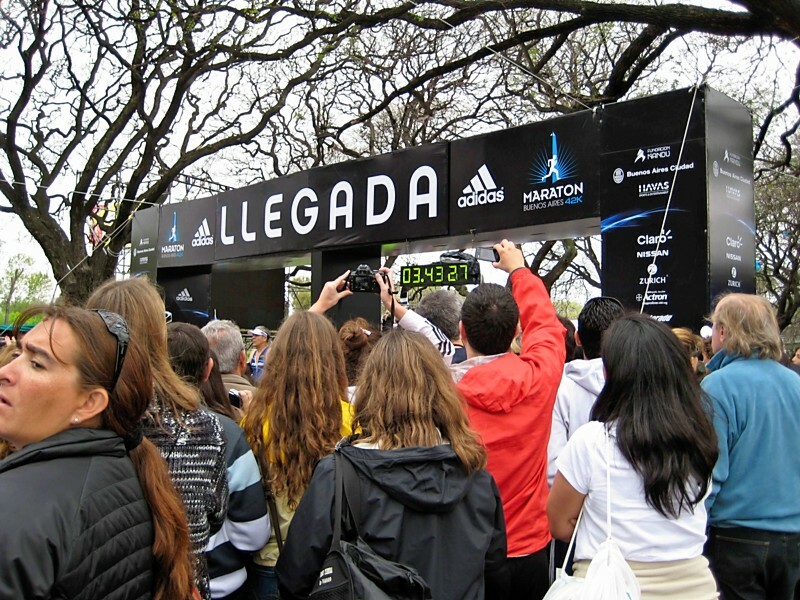 Buenos Aires Marathon - the best tour of Buenos Aires! 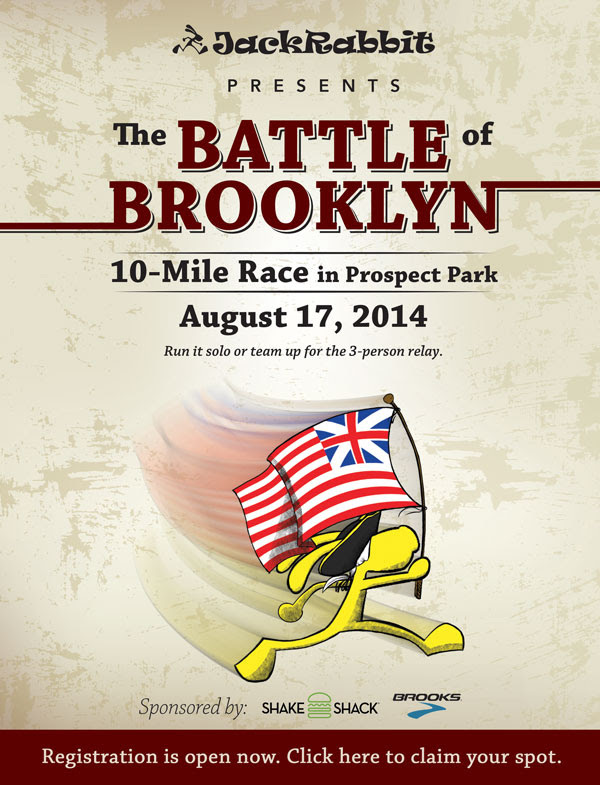 Battle of Brooklyn (relay) - get two friends and race around Prospect Park in this fun, easy relay. Hood to Coast - the mother of all races - 200 miles from Mt. Hood to Seaside, Oregon with 11 of your friends. You've never raced this this before! What are your favorite races and why? We are always looking for new races. Share your favorites with us! Shout out to New York this week with our favorite tune for running this week. Gail DiLisio, is our featured runner this week. We met her this summer while helping her and her partner, Cathy Bolz (on the left), train for the Smuttynose Rockfest Half Marathon in Hampton, New Hampshire. Her dedication and commitment astound us! She's lost over 50 lbs and is on her way to PRs! My goal is to gain speed and be more efficient when I run, especially on long runs. I am currently training for the More/Fitness Half Marathon in April. I get inspiration to run from the challenge of improving my run, whether it be technique, speed etc. The chance to improve is perfect motivation for me. I love to run anywhere outside, even if it is freezing out. My favorite route is Central Park - it is the perfect blend of rolling hills along with great people watching! My favorite person to run with is my partner, Cathy. We both started running 2 years ago when we each lost 50 pounds and found running a perfect way to stay fit and provide variety with our workouts. Well, the best advice came from Jessica Green, of course! She taught me that if am tired on long runs, I can keep my legs moving just by pumping my arms harder. Believe me, I have used this technique plenty of times! My Garmin 310 has been great for training and tracking miles. Starts November 5, 2012. Deadline to Register is November 2nd. Take your training to the next level with Hot Bird Running’s Winter Half Marathon Group Program. In this program, you receive a 12-week personalized training program, coached Saturday sessions in Brooklyn Bridge Park and real-time coaching instruction PLUS a team of other runners training alongside you. This plan will get you to your goals and keep you feeling fit, healthy and motivated all winter long. Training can be designed for the NYRR Manhattan Half Marathon (exact date TBD) or a different half this winter. Professional coaching to develop correct running form, endurance and speed. In-person coached workouts with the team, led by an experienced, certified running coach. Q&A sessions with the coaches once a week. Weekly email communication with the coaches. Personalized 12-week training plan beginning the week of October 29th. Training is based on your goals and fitness level. Includes running specific workouts, strength training and cross training; race strategy and recovery information; and training feedback and modifications. Mid-week online chats with coaches. Cost: $350 for entire program. All purchases are final. Must run a minimum of 3+ times per week or 10 miles total each week. All paces welcome. Register/Pay Online: Pay online using the payment button below (then fill out our New Client Registration Form) or contact us via our Contact page, phone number: 646.535.0307 or email: info@hotbirdrunning.com to get started or for additional information. We will email you within 24 hours if you purchase online, or contact us either through our contact form on our website or our contact information. Register no later than October 25th. Meghan is sharing her ups and downs after running a race and how to break out of the slump. 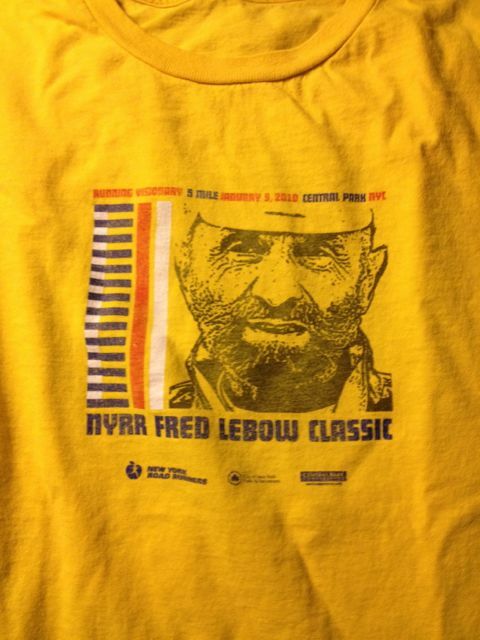 I ran two races back to back this September: Ragnar Colorado and the Great Cow Harbor 10k. Both races were fun, beautiful, with great friends and I felt awesome after each race. Ragnar Colorado was a 200 mile relay from Breckenridge to Snowmass. I ran 33 of the 200 miles and loved every minute of it - especially the scenery. I got back to NYC and Jessica and I ran the Great Cow Harbor together. We had fun this race and didn't stress too much about our time. Since then, I've had a very rough time getting my mojo back since the races. I haven't felt like running and I'm tired, like all the time tired! 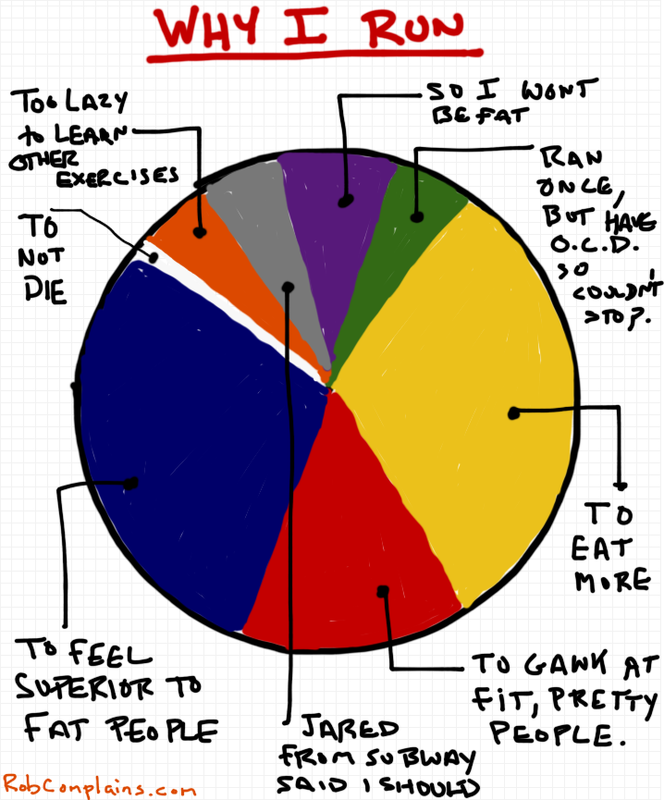 Here's what I discovered in dealing with my post race slump. 1) Give yourself a break! You just ran a race, reward yourself with a few days off. 2) Gush about your race. 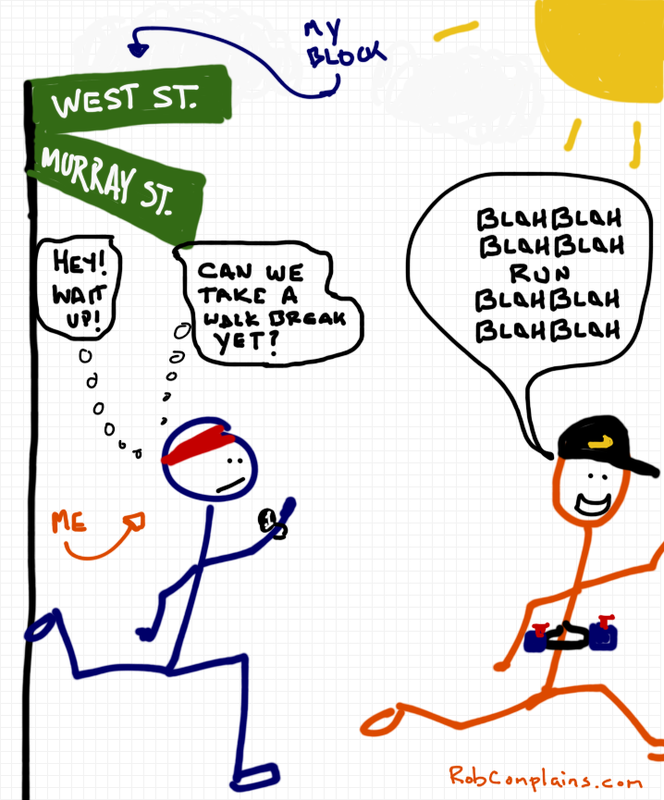 Meet a runner friend for coffee and tell them all about your race. You trained, you sweated, you rocked it. Brag a bit. 3) Plan your recovery. I love active recovery plans that are full of yoga, spin classes and fun classes like kickboxing. Lay off the running for a few days (or a week or two) and work your muscles in a different way. 4) Pick your next goal. Find that next race that you want to run or your next vacation. Give yourself something to look forward to! Beat those post race slumps by having a plan and giving yourself the time and space to recover, sleep and find your mojo! 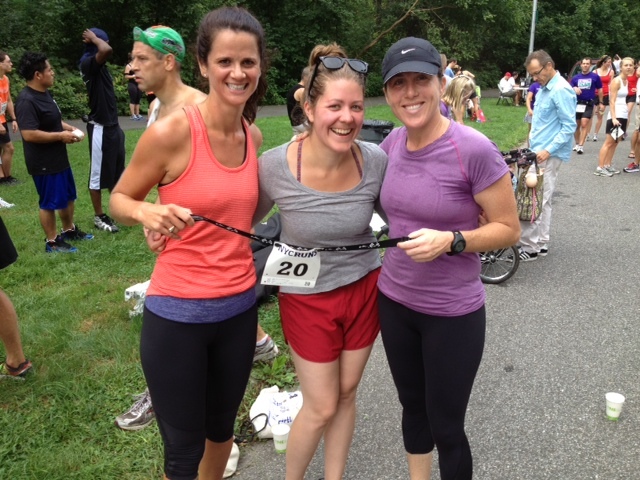 Yesterday, Jessica and I ran the Battle of Brooklyn race in Prospect Park with a friend and client. What we love about this race is 1) it's local and 2) you can run it as individual (10 miles) or as a 3 person relay (3.3 miles each). If you read our blog or know us, you know that we love our relay races because it transforms a solitary sport a team sport. All 3 of us had different goals and reasons for running the race. Despite our varied reasons, we were able to run together, run well and have fun. So, our tip of the week is to find a 5k or 10k and a few friends to run it with you. Make a morning of it by having breakfast together and going to a yoga class to stretch out your muscles. Have you run a race with friends? Comment below and tell us which race.